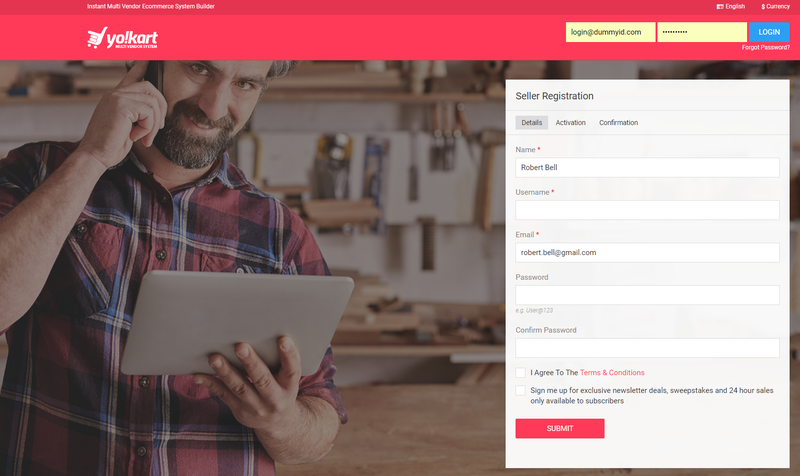 How can I create a new seller account in Yo!Kart Version 8? The details filled in the seller registration form will be sent to the website admin and as soon as the admin approves the seller registration request, the account will get activated. Was this answer helpful ? Yo!Kart FAQs Train Asked on August 2, 2018 in Seller.